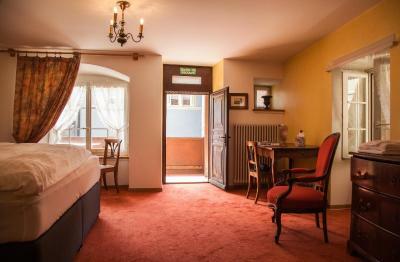 Lock in a great price for Hôtel Les Vieux Toits – rated 8 by recent guests! Quiet but still super close (15 min bus ride) into Neuchâtel. Clean and friendly staff that let us check in before the official check in time. Large quiet room able to open the window. Local rustic appeal. Building was a bit dated and dingy. Breakfast was good. 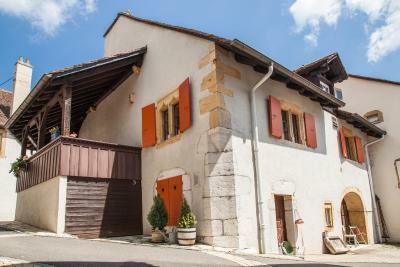 Not much to choose from around Hauterive/Neuchatel, so this was one of few choices. Quiet little boutique hotel near Neuchatel. The owners are friendly and helpful. The town is lovely and interesting. Transportation is close by. 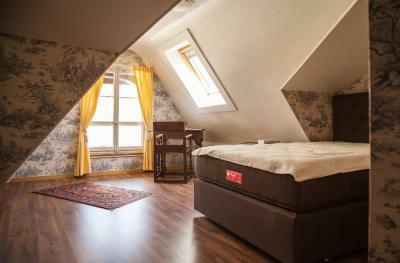 The rooms were really cute and the whole hotel has a sweet, quaint feel to it. The breakfast was great, and it was nice that there were options of when we could take our meal. It was quaint and cozy. There are not a lot of rooms so service is personal. The public beach and marina along with a restaurant are down the hill via stairs that feel like they've been there hundreds of years. There are several restaurants within walking distance as well as a patisserie with bakery and coffee. The staff was great! very helpful. The place is great. A bit far from the center but the conference I attended was closer so it was ok. Very quiet. very nice location, the hotel is super cozy and has a great bar. the staff was impeccable. Such kind hosts and a very cozy little place to spend some time with friends. 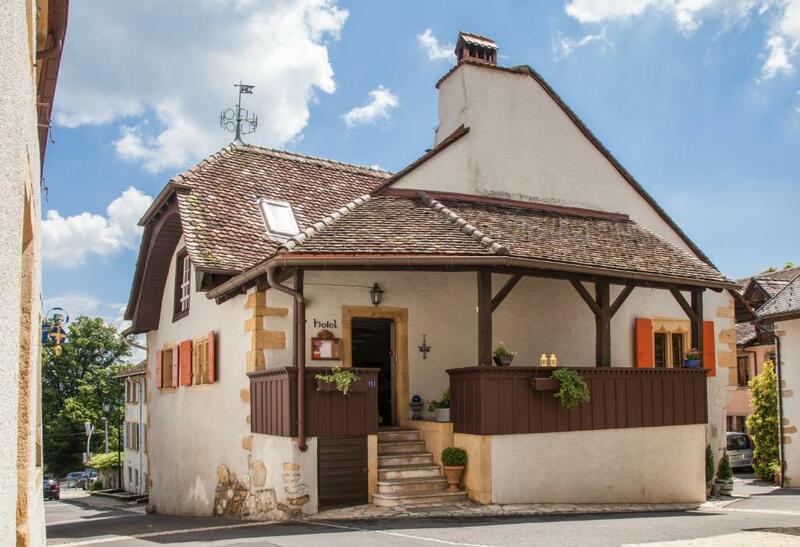 Though not as hyped as Neuchâtel, the village of Hauveterie has some really gorgeous architecture and very quaint vibe with excellent view of the hills. 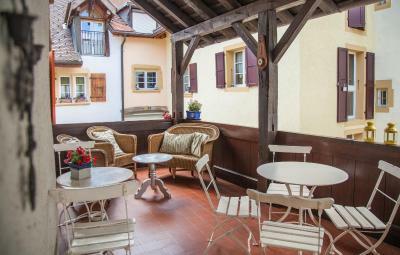 Hôtel Les Vieux Toits This rating is a reflection of how the property compares to the industry standard when it comes to price, facilities and services available. It's based on a self-evaluation by the property. Use this rating to help choose your stay! 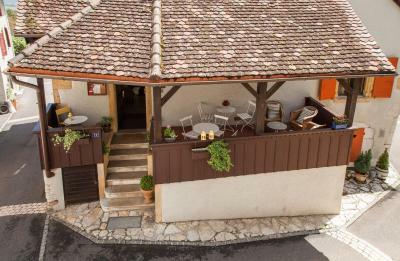 Located in the foothills of the Jura Mountains, the elegant Hotel Les Vieux Toits in Hauterive is surrounded by vineyards. It offers free Wi-Fi and serves light meals. 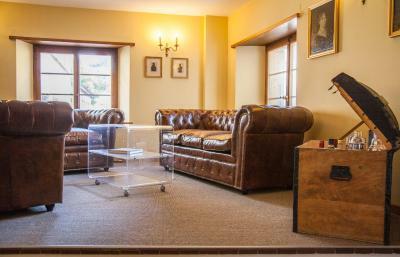 Guests can relax in front of the fireplace or on the terrace and spend peaceful nights in the tastefully furnished rooms of Les Vieux Toits. Free parking is available on site. A bus stop with connections to Neuchâtel is 2-minute walk away. 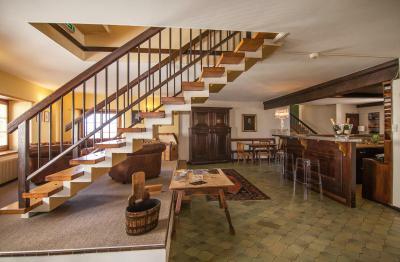 When would you like to stay at Hôtel Les Vieux Toits? 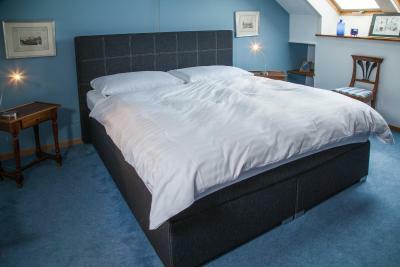 Peaceful rooms with free Wi-Fi. 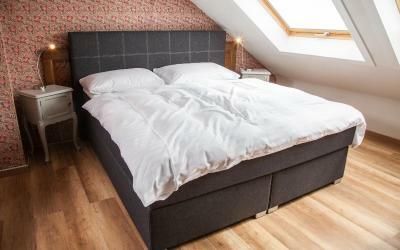 House Rules Hôtel Les Vieux Toits takes special requests – add in the next step! 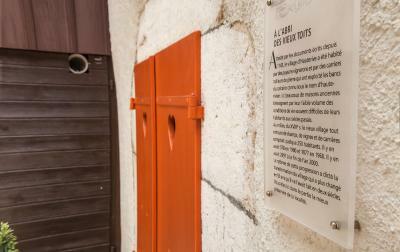 Hôtel Les Vieux Toits accepts these cards and reserves the right to temporarily hold an amount prior to arrival. 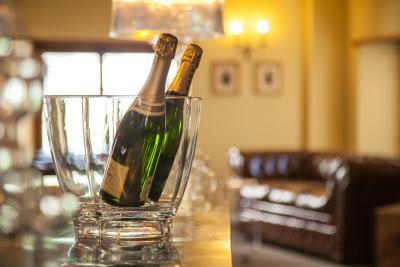 Please inform Hotel Les Vieux Toits in advance if you are going to arrive outside the check-in time. There were not a toilet in a room. Room was clean, beautuytuful and big and a bed was soft! Staff were not around when you needed them. No direction or instruction. Bar was well stocked but it was unattended 90% of the time and we were unsure of how to access it. There were no verbal or written communication about bar access. Would have been nice to have a drink there in the evenings but no staff were there. Comfortable cozy room. Quaint hotel in historic village with picturesque views. Nice hiking trails close. Easy bus access. Quaint organic winery on the street. Lovely little hotel full of charm. Staff very helpful. Will definitely stay again. The room I received had a bathroom but no WC, had to use a public WC in the corridor. 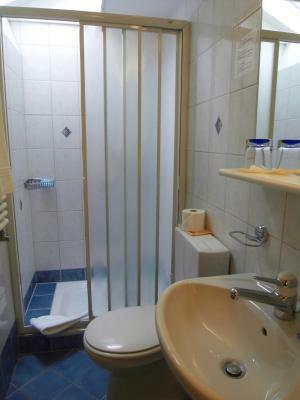 Not very confortable if you need a WC in the middle of the night. I believe other rooms have a private WC. Rooms are under the roof, if you are tall, beware of hitting your head. Very clean and cozy. Staff very friendly. Good breakfast. Location was ideal for me, close to the golf course; a five minute drive. Our room was never cleaned. The trash can was not emptied. The water glasses were not replaced or cleaned. The bathroom has mold or mildew in the grout. maybe the fact that you cannot enter the premises prior to 17.30. A rare gem slightly above the hustle and bustle of the towns and the lakefront. Feels like being on vacations in the Provence with the swallows, the lavender, the vines, the fountain in the center of the village. Lovely entrance with lots of space and cozy feel. 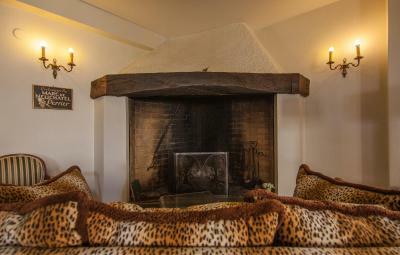 Rooms are cozy too, a little antiquated, but just enough so to make them romantic. The welcome and the service were excellent. It would have been helpful to know that many restaurants in the area are closed on a Monday evenings. Also, most local restaurants seemed quite expensive. There is a cafe at the local sports club 10 mins walk from hotel and we also like the Funicular Buffet 10-15mins walk. 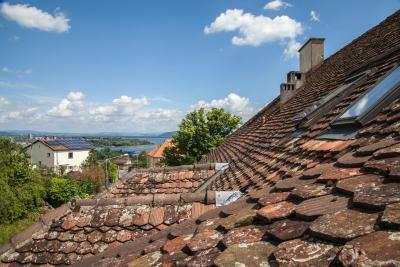 We really liked our stay here in quiet traditional part of Switzerland. The breakfast was good for us, although there were no cooked options if that is what is important for you. We had gone to this area to do some walking in the Jura - and we had some beautiful walks despite the weather. Breakfast was disappointing, no vegetables at all. 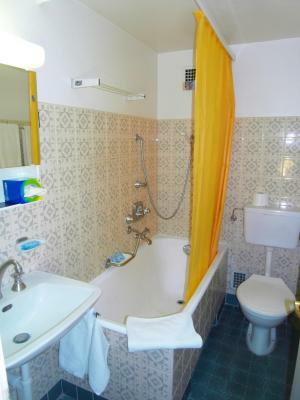 Also did not like that my room had seperate toilet (no soap was provided), even though bathroom was inside. Half of the room has ceiling at ~180cm.